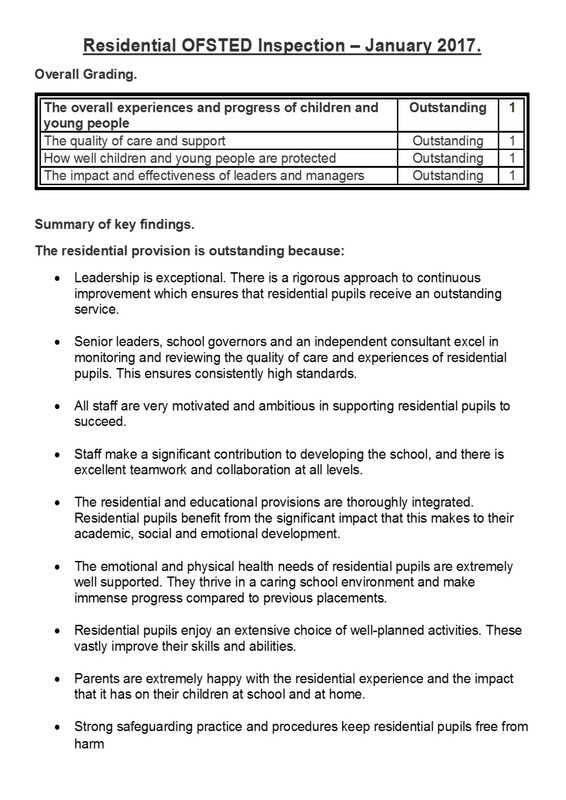 The leadership team has maintained the good quality of education in the school since the last inspection. You have a clear passion and vision, which is shared by the developing leadership team. Your focus on having the pupils at the heart of the school, coupled with a strong understanding of their complex needs, is ensuring that the school continues to meet the need of all pupils. Staff are proud to work at the school and feel appreciated. They acknowledge how you have instilled a sense of family and well-being. Opportunities for professional development are varied and staff can see positive career progression routes open to them at Oakfield, for example the internal development and promotion of the key stage 3 and 4 leaders. Pupils receive tailored support such as individual GCSE preparation, as they learn through a broad and balanced curriculum. Their activities include academic lessons alongside practical life skills, outdoor experiences and well-being support. The wide range of provision on offer helps pupils to access academic qualifications and to achieve. Pupils enjoy coming to school. They are greeted by trusted adults and move seamlessly into a range of activities including breakfast club, football and ICT. Parents and carers agree that their children are happy and want to be in school. They are positive about the ways in which their children have improved their attendance, social skills and behaviour since joining the school. 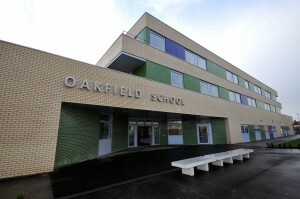 One parent said that her son ‘feels safe, supported and accepted’ at Oakfield. Pupils’ behaviour is good. Staff have high expectations of pupil’s behaviour. Staff support and challenge pupils to be respectful to others, to use positive language and to take part in team activities. Teachers use praise and reward points successfully to encourage positive development. Incidences of difficult and challenging behaviour have increased this year. However, leaders acknowledge that this is due to a new method of behaviour management and are using the analysis of incidents to embed further the system of ‘leading by walking about’. You believe that this system, where senior staff are more visible around school, has begun to build relationships and raise expectations for pupils’ behaviour. The care of pupils’ emotional well-being is a strength of the school. Highly trained staff work with staff, pupils and parents in a variety of ways to support their wellbeing, improve attendance and reduce incidents. Nurture classes in both key stage 3 and 4 allow teachers to plan activities which support pupils’ individual well-being and behaviour needs to ensure that they are ready for learning. You ensure that classrooms are calm environments, which allow pupils to settle quickly and teachers to establish positive routines for learning. 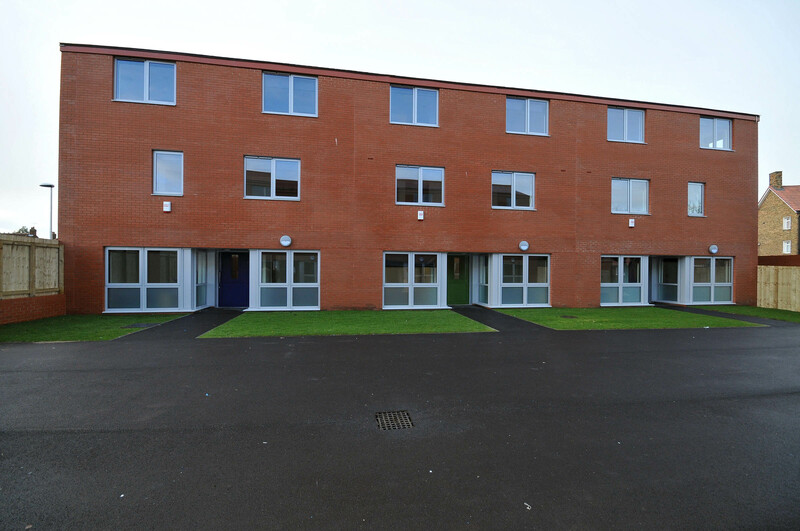 Off-site provision is used effectively for a small number of pupils to support their education. Pupils study vocational courses alongside function skills qualifications, which helps them to prepare for the world of work. Inspectors spoke to two pupils who are settled, engaging and knowledgeable about their learning. 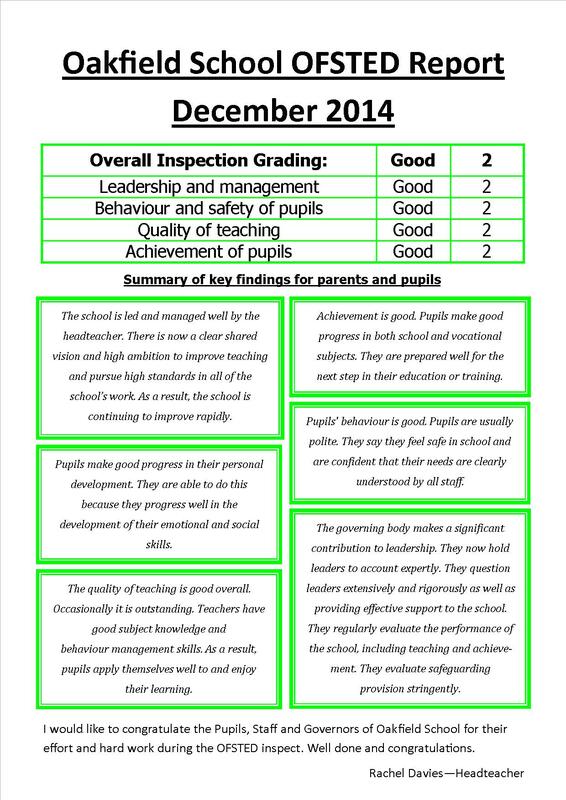 Since the previous inspection, middle leadership has developed and middle leaders effectively analyse school information and use it to improve the curriculum. Leaders use detailed data analysis to inform areas of strength and improvements needed. Leaders acknowledge that this analysis can be developed to strengthen the curriculum further to ensure that individual pupils’ needs are consistently met. Pupils’ transition into further education, training or employment is a developing area for the school. The partnership working and curriculum that are in place, along with school staff support for college visits, ensure that pupils are well prepared for the next stage of learning. You and your leadership team have ensured that safeguarding arrangements are fit for purpose. You have developed an effective safeguarding culture in school, establishing a safe and secure environment for pupils. Staff show an awareness of its importance and demonstrate a secure understanding of their responsibilities to keep pupils safe. 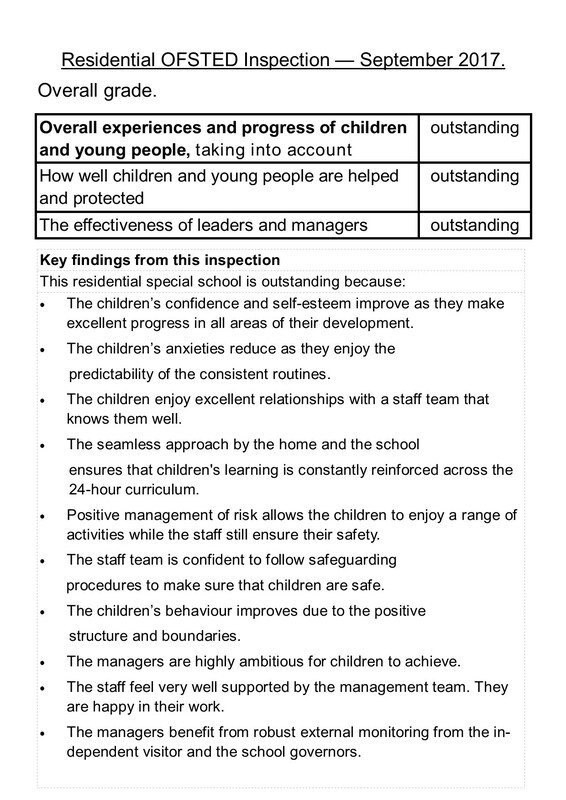 Your team of safeguarding officers works effectively across the school. The strong relationship between the safeguarding team and staff in the emotional well-being hub provides additional support to pupils and their families. Safeguarding officers report to the local authority in a timely fashion, when necessary. They follow up cases to ensure that pupils get the support they need. Pupils have many opportunities to learn how to keep themselves safe. Through the use of themed days, displays, focused teaching and one-to-one support, pupils learn about physical and mental health and online safety. 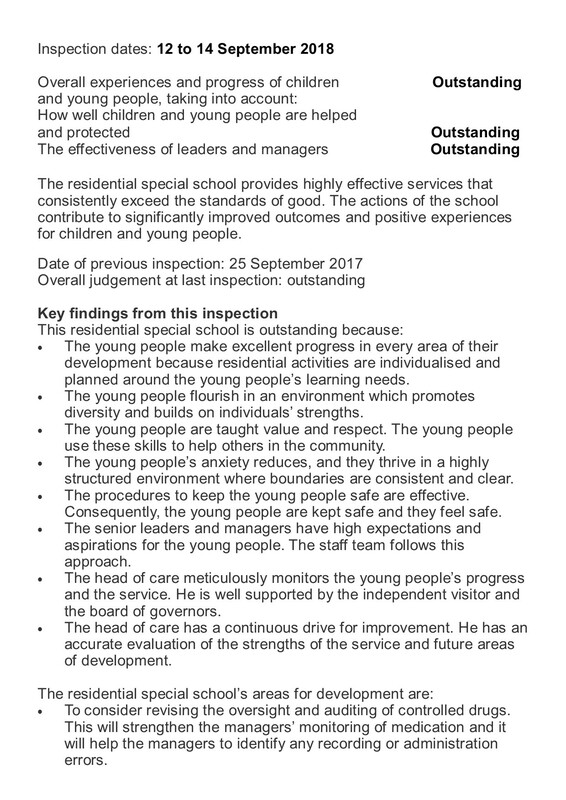 During the inspection, we focused on whether the quality of teaching and learning remained good. Subject knowledge and constructive relationships between teachers and pupils are very strong features of the effective teaching and learning. This has a positive impact on the progress that pupils make. Individual education plan targets are closely linked to pupils’ education, health and care plans and are well monitored by staff. These provide evidence of pupils’ progress. Work in books shows the building of knowledge and skill development over time. Discussion with pupils during the inspection indicates that pupils clearly understand the tasks that teachers give to them in class and what they need to do in order to be successful. Pupils enjoy reading and are confident to read out loud in class. Teachers are aspirational for their pupils and set targets that challenge them. Highly personalised learning was evident in some classes. Pupils are proud of their work and confident to talk about their learning since September. A wide range of examples was seen, including fractions, storywriting, character summaries and life in care. Effective questioning is evident across the curriculum. This supports pupils’ recall of knowledge and allows teachers to build on and progress pupils’ learning. A further focus of our visit was attendance and behaviour. Leaders have robust procedures for tracking and monitoring attendance which ensure the well-being of pupils. They work closely with families to improve the attendance of pupils who have not been at school for long periods of time before their referral to Oakfield. This supports smooth transition and rapid improvement in attendance. However, leaders acknowledge that further improving attendance is still an important area of development. This is particularly the case for those pupils who have persistently low attendance. Behaviour across the school is well managed. The recent changes in behaviour management have allowed senior leaders to build positive relationships with pupils which support the clear and high expectations for pupils’ behaviour. Pupils respond well to these expectations and are proud of their school, their work and their achievements. The school curriculum is well thought out and meets the social, emotional and behavioural needs of the pupils. English and mathematics are taught well throughout the school. Leaders are now working to improve pupils’ achievement further by providing more opportunities for pupils to write at length in all subjects. Leaders use additional funding well to support the academic and wider development of the pupils. For example, maths resources and GCSE pupil support have contributed to an improvement in GCSE results for pupils accessing additional funding. systems to analyse data are used effectively to support curriculum development to meet the changing needs of all pupils. 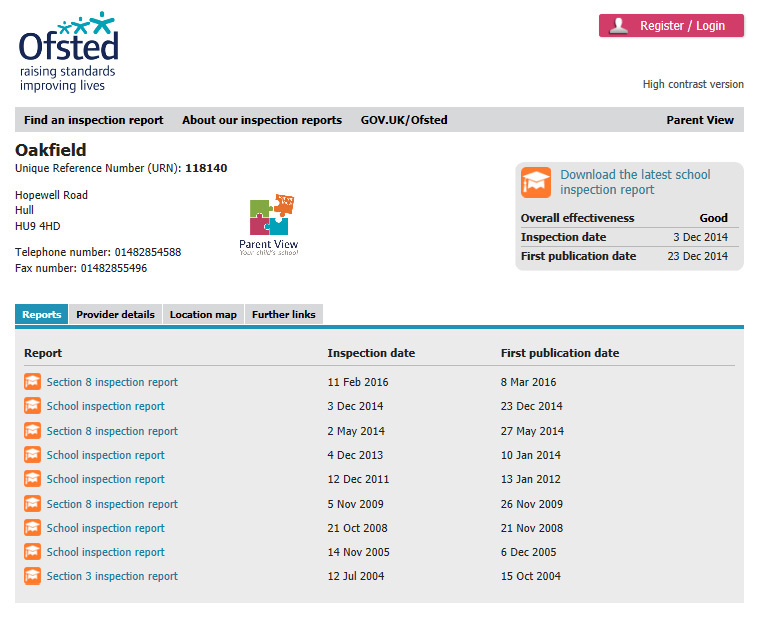 “…congrats to all the staff at Oakfield whose dedication and hard work has made this possible. or call the school for a hard copy.